Immersive visual experiences are elevated to new levels with high resolution images and seamless LED panels. The interactive and the physical worlds collide with our tactile technology experiences. Use our games for competition or education and your attendees will interface directly with technology, triggering impressive digital reactions based on their actions. 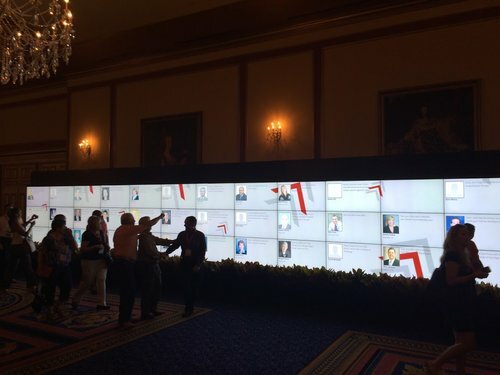 Welcome attendees to your event with our larger-than-life video walls. As they walk past, attendee information is projected live onto an impressive wall display of monitors. 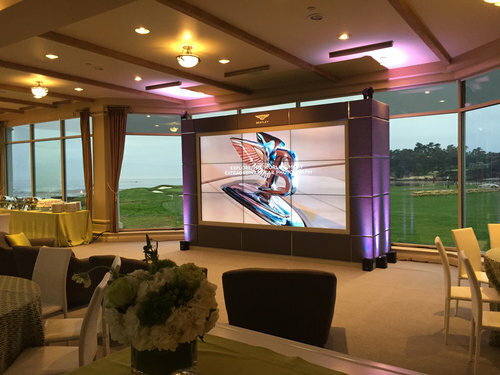 By personally greeting each guest with this interactive experience, our video wall will set the tone for your event. Elevate your event with our interactive kiosks. 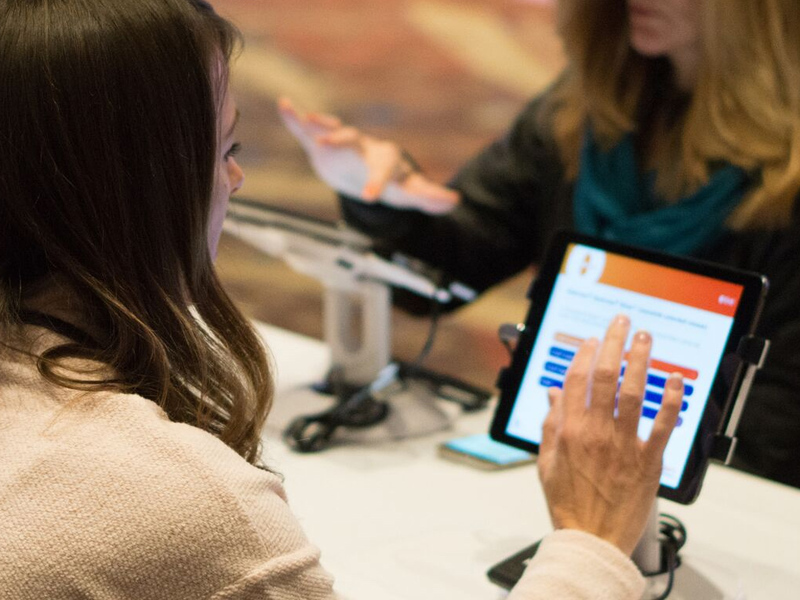 While many events rely on presentations and displays, incorporating interactive kiosks engages attendees face-to-face with the custom tech we create for your event. Our kiosks are built with your space and event goals in mind. We can build team quizzes, collaborative or competitive games, interactive videos for individual use, and much more.